The build up you see here is actually the car's second incarnation. When Rich got the car from a buddy, it was a built model that had been disassembled and stripped -- it was all ready to be rebuilt. But Rich wasn't content to build just any old Vega. With a set of Fred Cady decals inspiring him, Rich set about researching the Cosworth Vegas. 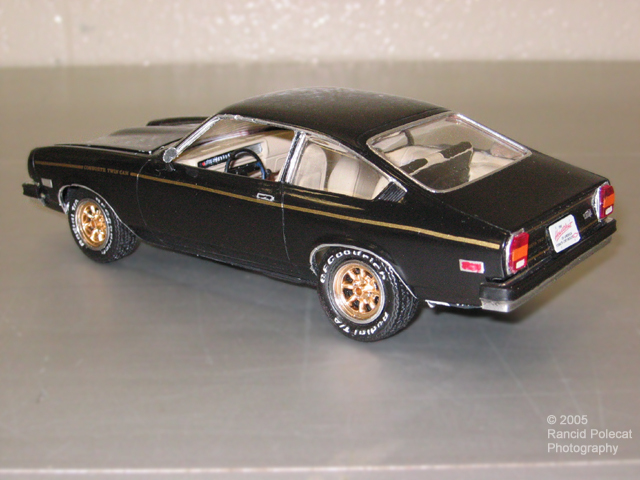 One of the best sources he found was the Cosworth Vega Owners Association's web site.